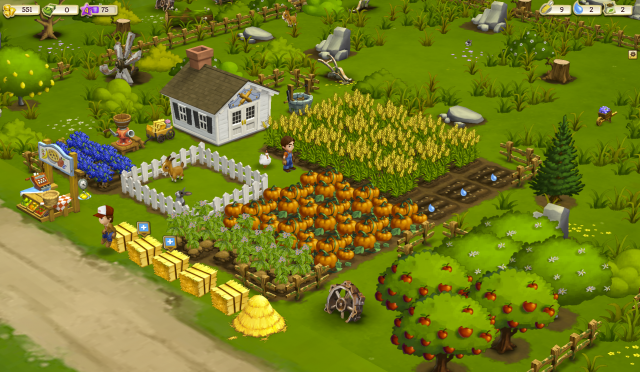 Run a Farm: Create your ideal farmland in Farmville 2. Whether it's cash crops or a wide variety of plants, a tiny garden, or a full-range dairy farm, the options are nearly endless. Individual farms will always be different, and trade between them is essential. 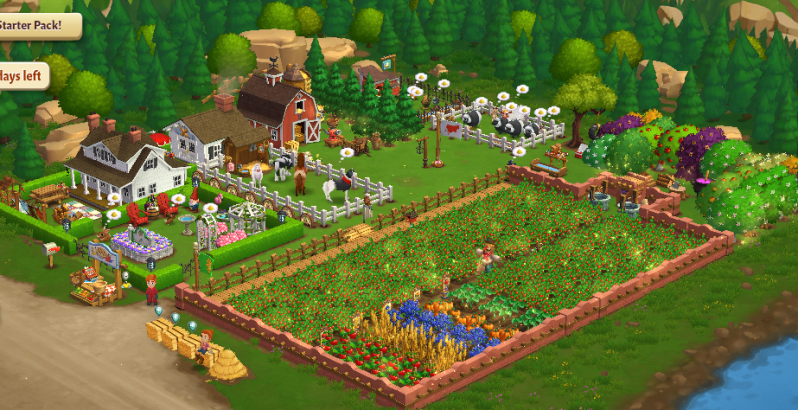 Social Networking: As with the original Farmville, networking and trading with your neighbors and friends is integral. It's the best way to expand your selection of crops and livestock, and to otherwise advance in the game. Use of premium currency can be minimized by having friends to tend to your crops while you're away, or to trade seeds with. 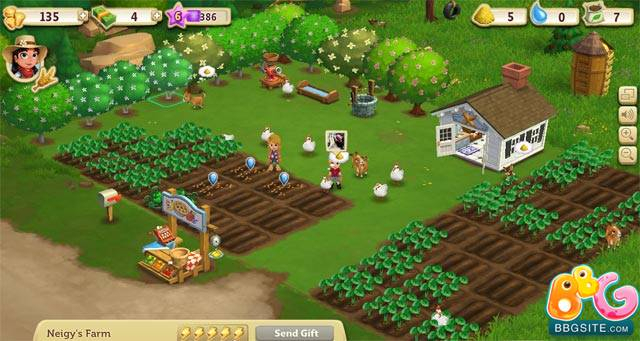 Mobile Optimized: Farmville 2 has been exclusively designed for mobile support. It is touch-screen capable and has enhanced graphics. The ability to take the farm on the go changes the game, and gives players more opportunities to keep their crops and livestock well-watered and fed. 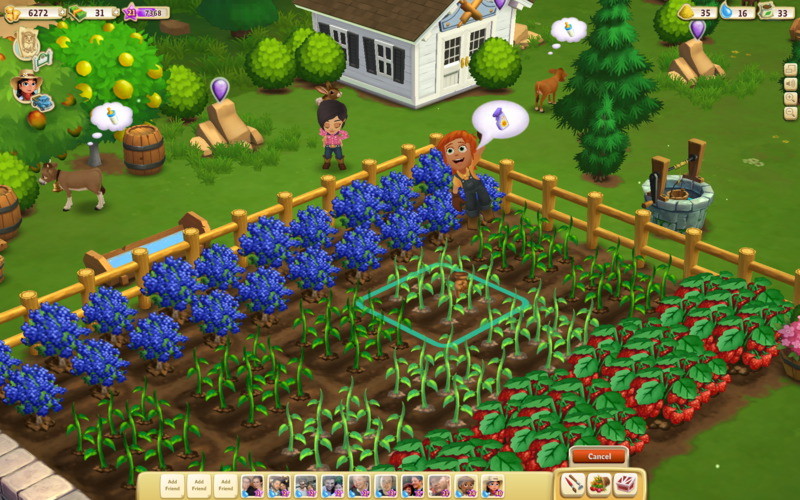 This video features gameplay footage from Farmville 2. It is the official trailer from the developer, and shows off a variety of features.